Last weekend I happened to visit the Pune International Literary Festival that was held in the city. It was a three day event which saw various authors and speakers flank the event indulging in book readings, talks shows and workshops plenty. But what was more interesting about the festival was this year’s chosen theme- Agatha Christie. Yes our very own in-house crime reporter Agatha Christie, was flavour of the festival. And organisers to that effect had arranged quiz competitions, put up hoardings and assembled a rather interesting exhibition on life of the prolific writer. Today we bring to you one such interesting (taken off the exhibition) and very much unheard story on the lady. 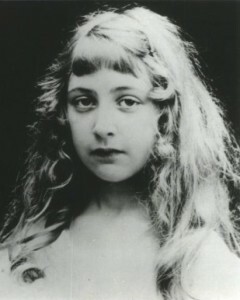 She was born as Agatha Mary Clarissa Miller and it was on marriage to Archibald Christie that she adopted his surname and thus world witnessed the birth of Agatha Christie. A name that is now immortal along with her crime stories. But what many do not know is that on one unassuming day in 1926, Agatha left her house in the car never to be return home. Police searched the city and nearby areas for nearly seven days before they found her car abandoned on the street. And then through clues and people accounts they discovered her in a hotel, checked under the name of Theresa Neale. On prodding they found that she could not remember her real name and it was with much difficulty that she could resurface as normal functioning human being. Agatha Christie herself has omitted this incident from her autobiography and hence denies it ever taking place. Now what is most interesting about this is that it was the same time that Archibald Christie, her then husband had filed for divorce, citing the reason as him being in love with someone else. And this someone else was called….. Theresa Neale. It is of course no coincidence that she chose this as her alias and it is said that for next two years until the divorce got finalised in 1928, she underwent a very bad phase of mental illness including hallucinations. Clearly the split with her first husband left her very emotionally shattered. 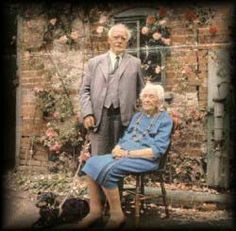 But years later on a trip with friends she met Max Mallowan, an archaeologist fourteen years her junior. And he fell deeply in love with the lady author so much so that he proposed for marriage. But Agatha had many inhibitions given the age and also the bitter experience in her first marriage. Nevertheless the two married. And as luck would have it, this marriage lasted forever and went on to be a huge success. Now I am hoping you liked this trivia. I myself found many tidbits in that exhibition that I had never known about Christie. But it is the tale of her two marriages and the disappearing act in between that caught my attention the most. Tell us today have you read Agatha Christie? If yes, then which one is your favourite of her all stories? Ohh that book is one I can never forget it was so weird and spooky! I have heard her name and seen the pic. but never knew the story about her i.e. shared by you. Great to know. I completely agree with Purnendu… Sherlock Holmes got a lot of attention and footage than Agatha Christie. P.S I missed the entire event BIG TIME due to the client meet. Hope to be there next year. I never knew this! I thought you made for the concert? Well next time then! There was a time I read only Agatha Christie. Even if I pick her book today, I know I’ll devour it from front to end in a day. That was some very interesting trivia Richa, her disappearing act and the alias she chose! How a human mind works! 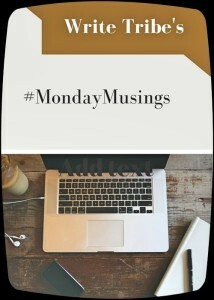 Great to see you blogging regularly! Love! Exactly that is what strikes you how human mind works.. no? Most interesting trivia! Thanks for sharing! Richa, thanks for sharing both incidents. I was alien to them and interesting what super creative people go through in life. This is such a wonderful coincidence really! That’s some interesting trivia. It’s been ages since I picked her book. Murder on the Orient Express is lying unread on my book shelf. Must check it soon!